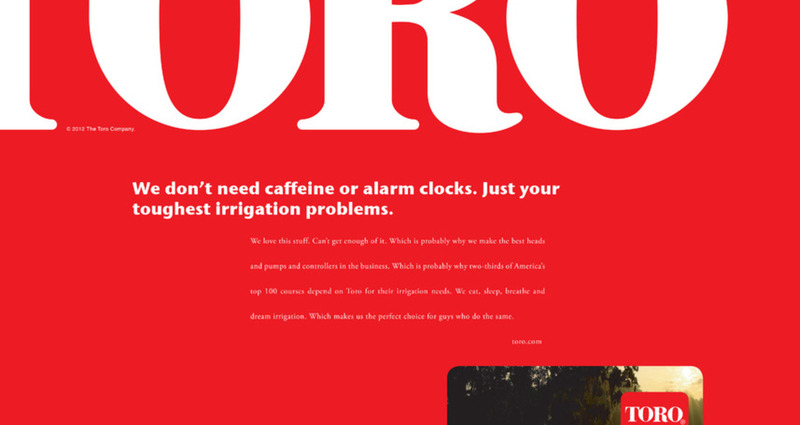 Toro is the market leader in golf course irrigation by a long shot. 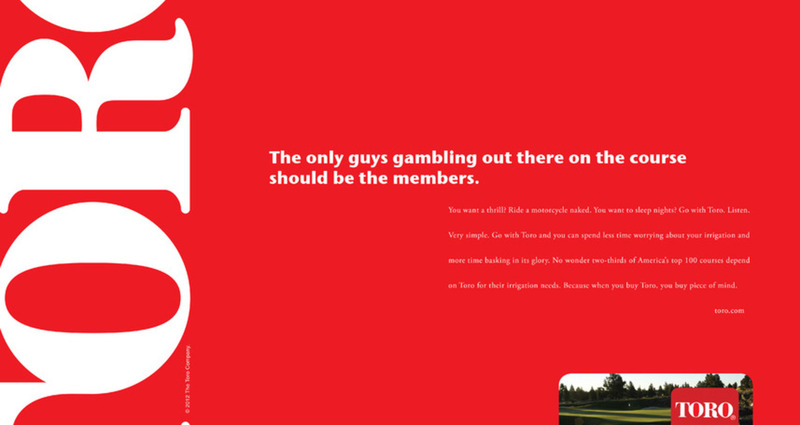 Nearly two-thirds of the top 100 courses in the world are Toro courses. Zillions of patents. On and on and on. 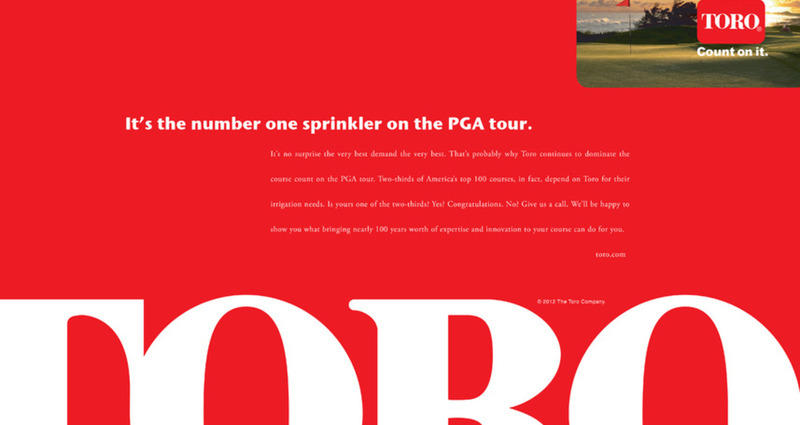 With a history like that, why not turn your entire ad into a giant logo reminding golf course superintendents their safest choice, their best choice, is and always will be Toro.